Integrating Clinical, Cognitive and Functional Assessments onto one device. Durham, NC—December 6, 2018—VeraSci, a global clinical technology and research services company, announces multiple significant enhancements to Pathway, their proprietary eCOA platform. Pathway, which reinvented how raters, sponsors and site administrators conduct assessments and scales for clinical trials, now offers enhanced data collection and administration, and access to a larger number and type of scales and assessments. The Pathway team worked with raters, scale-developers, and sponsors to ensure that all Pathway users would derive optimal functionality while accommodating the needs of each study and site. The improved flexibility of Pathway allows for the use of a single device for multiple assessments and multiple protocols, permits high enrolling sites to use different devices for parallel assessment of multiple patients, and easily integrates all of the data. VeraSci’s proprietary assessments, BAC and VRFCAT, and licensed gold standard endpoints and safety measures for multiple therapeutic areas such as the EDSS and C-SSRS, are now accessible through a single Pathway-enabled device. In addition, raters can administer assessments on Pathway and obtain consent from test subjects on the same device. Available in multiple languages, Pathway is able to accommodate a sponsor’s specific needs for an integrated experience in a variety of countries, with negligible failure rates or device issues. VeraSci’s multi-lingual tech support teams in Europe, Asia, and the United States provide support in sites’ local languages, and VeraSci’s Global Language Solutions team provides scientifically valid translations and cultural adaptations of required assessments. The feedback from users has been extraordinary. Dave Walling, Ph.D. of CNS Network LLC, explains, “Pathway simplifies the process for raters at the site level by integrating the assessments into one system. Rating on a tablet can often be a frustrating experience as there are multiple log-ins, connection problems, and technological mishaps…Pathway helps to combat those issues and makes the process easier for staff, subjects and ultimately, sponsors”. VeraSci is a registered trademark of NCT Holdings in the United States and/or other countries. DURHAM, NC, July 9, 2018– Specializing in Alzheimer’s Disease (AD) and other neurological and age-related disorders, Dr. Kathleen Anne Welsh-Bohmer, Professor of Psychiatry and Neurology at Duke University, joins the accomplished scientific team at NeuroCog Trials (NCT) providing thought leadership in Neurodegenerative Disorders. 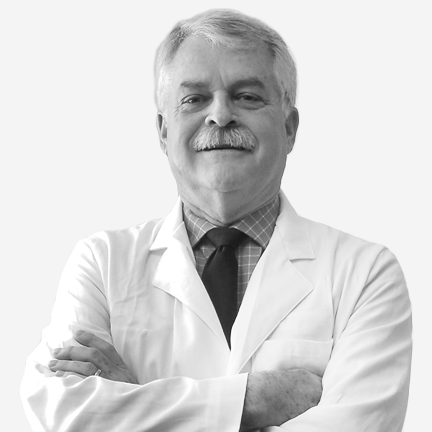 With more than 25 years of research dedicated to this therapeutic area, Dr. Welsh-Bohmer lends the highest level of scientific expertise to the continued development of effective prevention and treatment strategies to eliminate the onset of cognitive disorders occurring later in life. Durham, North Carolina, October 30, 2017 — NeuroCog Trials, Inc. (NCT), the premier global cognition and clinical assessment consulting and technology company, today announced it received a 2017 Fast Track grant from the National Institute of Health (NIH) to study the validation of a performance-based measure of functioning in Mild Cognitive Impairment (MCI) and early Alzheimer’s disease (AD) using NCT’s proprietary technology, the Virtual Reality Functional Capacity Assessment Tool (VRFCAT). The VRFCAT is a state-of-the-art solution developed to improve clinical trials by detecting functionally meaningful improvements in patient’s everyday lives. DURHAM, NORTH CAROLINA, September 18, 2017 – NeuroCog Trials (NCT), a clinical technology and research services company dedicated to supporting global drug development, announces the addition of former AIFA Director General, Dr. Luca Pani, as Executive Director of Global Medical Innovation. Dr. Pani will guide the company’s development of innovative solutions for clinical trials methodologies and health outcomes.